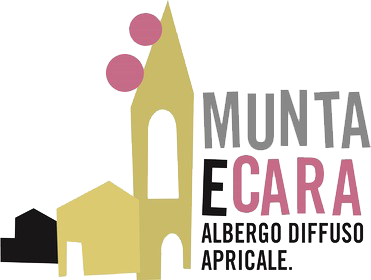 Should you wish to make an unforgettable gift to your partner, friend, to a person near to you, to a couple of newlyweds or if you want to thank someone who works with you, a client/supplier, or celebrate a birthday, an anniversary, a degree...MuntaeCara is what you want!! We prepare personalized gift boxes comprising the cost of one night for two people with buffet breakfast and a dinner to be chosen in one of the typical restaurants in the village, Wine tasting, Excursions, Visit to museums, Horse riding, and much more... Together we put the gift box to satisfy every wish!